The Royal Air Force (RAF) is celebrating its 100th anniversary with a series of events throughout 2018. Formed on 1 April 1918, the RAF was the world’s first independent air force. I thought it would be a good time to share with you some of the research that’s being completed by the Board of Trade War Memorial Research Group. I recently joined the group after starting some research on men who were employed at the Patent Office (present day Intellectual Property Office) during the First World War. This small group has been working tirelessly to complete research on the 305 men who are commemorated on the Board of Trade war memorial, located at the Department of International Trade in London. The Board of Trade was responsible for commerce and industry, and covered areas such as company law, patents, official statistics, and employment amongst others. Of the 305 commemorated men who served in various roles across the Board of Trade, 9 of them served their country in the air. 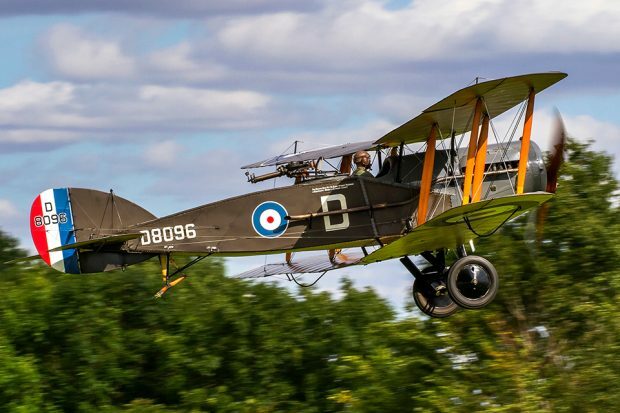 Before the RAF was created in April 1918, aircraft used by Britain during the First World War were operated by the Royal Navy as part of the Royal Naval Air Service, (RNAS) and by the army as the Royal Flying Corps (RFC). The Board of Trade men were employed in a variety of civil service roles when they enlisted. Stewart Bence (aged 20 when he died) and Bertram Venn (27) served at the Patent Office. George Bryars (19) and Harry Vine (32) served at the Seamen’s Registry. Leslie Thorowgood (23), Percy Woodhouse (20), and Roy Angus (23) all served in regional Labour Departments. Herbert Good (19) was employed at the Establishments Department, and Harry Boyles (18) was employed at the Statistical Department. Among the nine men, there was a variety of flying experience despite their young ages. The Statistical Office’s Harry Boyles was just 17 when his plane was shot down over the Western Front, and had only just turned 18 when he was killed in an accident while landing in Greece. Herbert Good, although only 19 himself, was classed as a ‘fighter ace’ with 5 enemy aircraft defeated in battle. Herbert was shot down near Cambrai and presumed killed. He was never found, but is commemorated at the Arras Flying Services Memorial at Pas de Calais in France. In the early days of conflict, flying machines were few and far between, and their importance to the war effort was not yet well understood. By the summer of 1917, the concept of air superiority was being discussed, and the suggestion of merging the RNAS with the RFC to create an independent air force was made. The men flew in a variety of machines, such as the Airco DH4 or the Bristol F2b. The Bristol F2b, was designed by Frank Barnwell at the British and Colonial Aeroplane Company. This company still exists on our records as The British & Colonial Aeroplane Co. Limited (314023) as a dormant company. Registered in 1936 as British & Colonial Aeroplane Co. (1936) Limited, it also spent a decade known as Space Ventures Limited. The company is now owned by BAE Systems PLC, but remains one of the oldest aerospace companies registered in the UK. 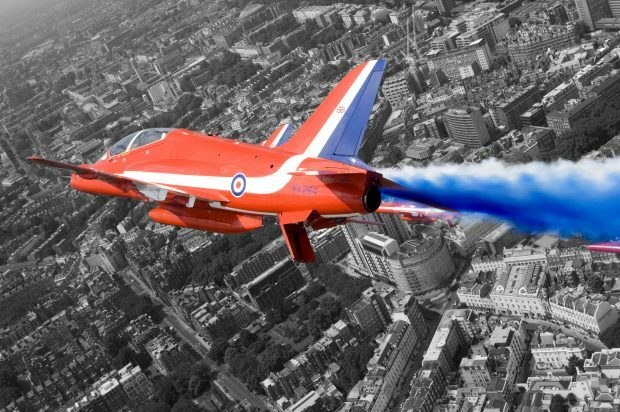 BAE Systems PLC also produces the world famous ‘Hawk’ training aircraft, most notable used by the RAF’s Red Arrows display team. The name of the aircraft comes from its previous manufacturers, Hawker Siddeley. Hawker Siddeley also created the iconic Hawker Hurricane during the Second World War, and although the company has now been replaced by BAE Systems PLC, you can still find the original company on our register dating back to 1926. To commemorate the first one hundred years of the RAF, the RAF100 baton relay is now underway, visiting 100 sites associated with the RAF over 100 days. There’s also the RAF100 Aircraft Tour to look forward to, with iconic aircraft on display from the last 100 years. The tour starts in Cardiff between 17-20 May, and travels throughout the UK during the summer before ending in Manchester on 14-16 September. 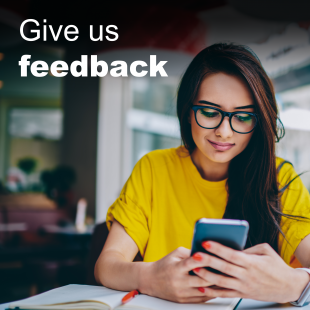 As the Board of Trade War Memorial Research Group continues its work, it’s really keen to hear from anybody who may be relatives or have any further information to offer. The full list of 305 men can be viewed on the research group’s website.